Cedrus trees are sometimes called “true cedars” because there are so many cedar-type trees. They are a tall evergreen tree erect in growth. The bark on young trees is smooth and gray, becoming furrowed and dark gray with age. They form barrel-shaped seed cones similar to fir tree cones. Seed cones mature in one year. Four cedar tree species are recognized as true cedars. Cedar is the common name for the Cedrus genus of coniferous trees in the plant family Pinaceae.They are characterized by spicy-scented, resinous wood. The origin of cedar species is in the Himalayas and the Mediterranean area. They thrive in altitudes between 1,500 and 3,200 feet. The four species of cedar are deodar, Lebanon, Cyprus and atlas. Lebanon cedar trees grow 40 to 50 feet in a pyramid shape that changes with age into a more open form. Their trunk can grow to 8.2 feet in diameter. The leaves are blue-green and needle-shaped, spaced out on long stem shoots. Cedars of Lebanon were important to Phoenician and Egyptian civilizations and are the current national emblem of Lebanon. 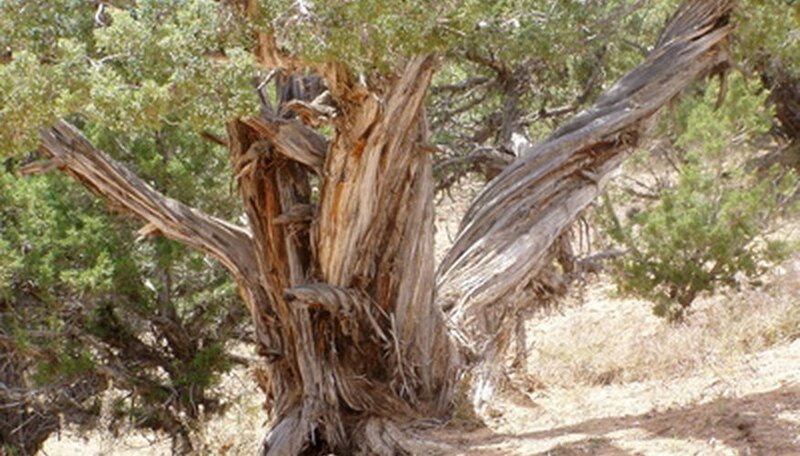 The Cyprus cedar tree is on the endangered list of species because of the conversion rate of forest to urban use on its native island of Cyprus. Like other deodar trees, the Cyprus cedar is evergreen with sharp needle-like leaves that grow in clusters. Cedar oil and resin are a natural repellent for moths. Cedar wood of all four types is used to line closets and chests where wool is kept. The atlas cedar is a medium-size species native to Morocco and Algeria. It is similar in shape and habit to the Lebanese cedar tree and is sometimes considered a sub-species. Its needles are bluish-green. Atlas cedar is commonly cultivated as an ornamental tree, grows well in temperate climates and is drought-tolerant.